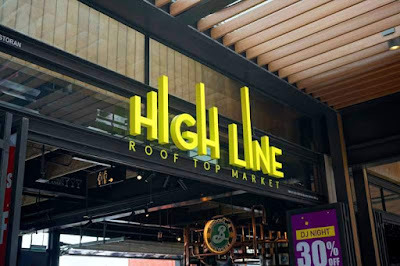 Housed within a 13,094 sq metres of space, High Line consists of strongly evocative food offerings served from seven distinct kiosks or food hubs consisting of Carnivore, Jon Bing, Brooklyn Brewery, Back in Time, Seafood Market, Asian Heroes as well as Burgers & Shots. Guests can mix and match F&B selections, purchasing from different counters, and laying out their own buffet picnics in an eye-catchingly designed, eclectic, communal dining area – al fresco style at 6,000 ft above sea level. The space has an eclectic design feel from the pallet wood installations to the massive seafood model whilst retaining a warm ambience. Diners are greeted at the entrance of High Line by food display cases, which rival the famed Lower East Side delis of New York City. This F&B station specializes in burgeoning, stuffed-to-the-rafters American style deli sandwiches. Carnivore Corner serves up Resorts World Genting’s own take on the iconic pastrami sandwich, as well as the New Orleanean staple, shrimp po’boy sandwiches served on brioche. It also offers Parisian favourites, American cheese and pastrami plus uniquely Malaysian creations such as the chicken floss and spicy mayo toastie, and beef serunding sambal toastie. Carnivore Corner also serves as a retail shop for premium sausages, cold meats and cold cuts. Jon Bing is the anglicized translation of the Mandarin word for Chinese crepes: xien ping. This food kiosk specializes in crispy Shanghainese egg roll crepes served in paper cones for convenient food on the go. The bounteous crepes come in four signature variants, all of which have been created by Resorts World Genting’s own chefs. The Malaysian ‘bing’ flies the flag for the flavours that have made Malaysia a food paradise – the savoury warmth of beef rendang, zesty ginger and anchovy aioli, crunchy peanuts, and the sweet bite of scallions enfolded in the signature crepe wrapper. 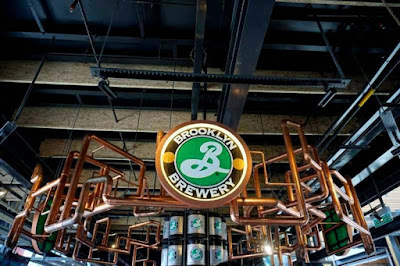 The Brooklyn Brewery serves up Brooklyn Indian Pale Ale and Brooklyn Lager which are perfect side kicks to all the foods available at High Line. This unprecedented collaboration with Carlsberg Malaysia makes High Line the first F&B venue in Malaysia to offer these beers on the tap. The kiosk will also offer Carlsberg, Kronenbourg 1664 Blanc, Asahi and Connor’s on tap. 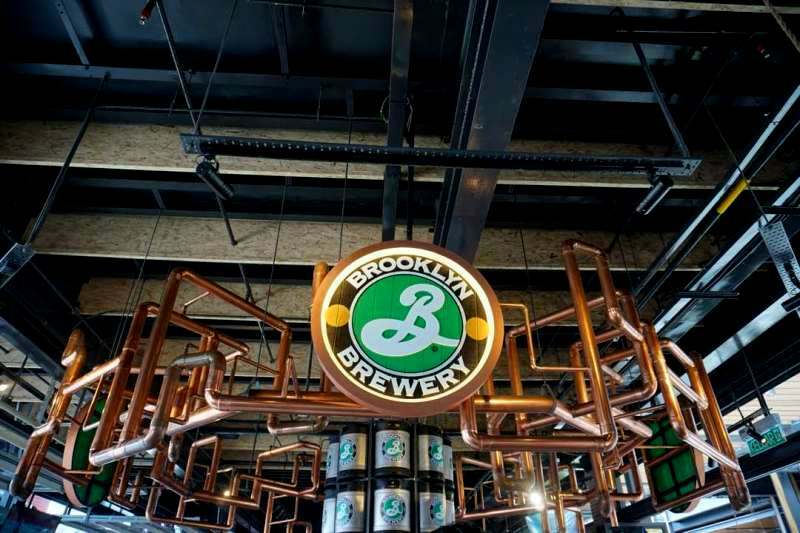 While imbibing, diners can also raise their pints to the industrial design of the bar counter which is designed around original Carlsberg beer drums which are at the confluence of a vast copper and brass nest of brewing tubes and funnels. Those who enjoy the mastery of a well-poured cocktail will delight in the quaintness of a quasi cocktail lounge set in the back of the soon to be opened 20th Century Fox World theme park clock. 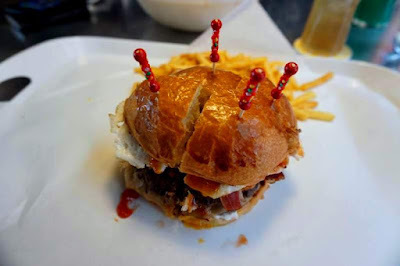 This F&B station rocks a Dr Who vibe, and channels laidback luxury and affluence. Back in Time serves wine by the bottle or glass, and offers bottles of bubbly ranging from the entry level Spanish Freixenet Elyssia Pinot Noir Brut to Moet & Chandon Brut Imperial. It also offers single pours of rum, cognac, tequila, vodka, gin, scotch, bourbon, whisky and single malts. As a live seafood counter, the Seafood Market focuses on Asian-style seafood preparations made with items selected from live aquariums. Fresh fish available daily include seabass, Chinese pomfret, red snapper and tilapia, all which lend themselves deliciously to the cooking styles offered. 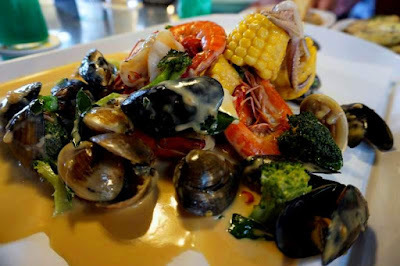 Those with a yen for shellfish will enjoy selecting from a variety of clams and mussels whilst the signature pail of seafood offers a finger-licking, dribbly chinned treat of a combination of prawns, clams, mussels, scallops and squid. For those preferring a more Western slant to their seafood, Seafood Market also offers an oyster bar stocking Canadian, Irish and New Zealand oysters, along with prawn cocktail and a cheese selection. Cured and smoked seafood are also available at Seafood Market. The Seafood Market is also complemented by a Raw Wine Bar which offers New World wines by the bottle specially selected to complement seafood. The Asian Heroes food station elevates local Malaysian fare to luxurious heights via clever use of premium food items. The kiosk’s star is the Genting Famous nasi lemak served with lobster rendang. 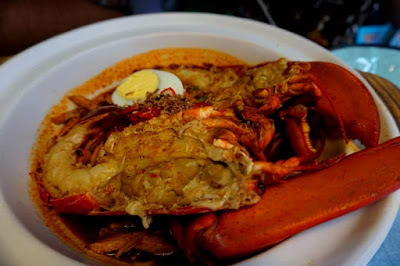 The pricey crustacean also makes an appearance in the lobster rendang tai pau, a supersized Chinese steamed bun stuffed with lobster made in one of Malay food’s most iconic preparation methods. Other great eats include the prawn pan mee with king prawns and truffle oil or the soupy beef noodles with wagyu beef. Along the high street, celebrate the best of food and drinks with our dining promotions every single day of the week. It’s party all day long with 50% off on all alcoholic beverages on Mondays, Tuesdays and Thursdays from 11.00am – 5.00pm. For the ladies, Wednesdays are always the best night to hit the town with discounts on all wine, cocktails and bar snacks from 6.00pm-9.00pm. Celebrate the weekend with 30% off all Spirit bottles from 7.00pm to 12.00am with free soft mixers. Fans of the beautiful game can also catch live screenings on Saturdays and Sundays for all major football games with all day long promotions of five small Carlsberg bottles and one classic burger and fries at RM99 on Saturdays and Sundays. Catch some entertainment as you enjoy a bite or two and a drink at High Line on Fridays and Saturdays. Catch the seven-piece NRG band rock out from 9.00pm followed the DJ spinning the latest hits.